Our amazing 21 year old superstar is looking for a very special person to share his riding/grooming/cuddling etc. with Linzi Warren who rides him 2 days a week, and competes him very successfully at PSG level. Keeping a horse on our yard is not cheap (all our horses are looked after amazingly by our team of staff, and live a life of luxury in our superb facilities), and Kwad will not be leaving the yard, but would like someone to enjoy the experience of riding and caring for him, and to take on responsibilities for some of his expenses. We already do this with our other old superstar Jordi, and the cost of a days ride is somewhere between £25 and £30 (this covers all his day to day expenses and a contribution to insurance, shoeing and veterinary costs). It would also be compulsory to have a lesson a week which would cost £40. 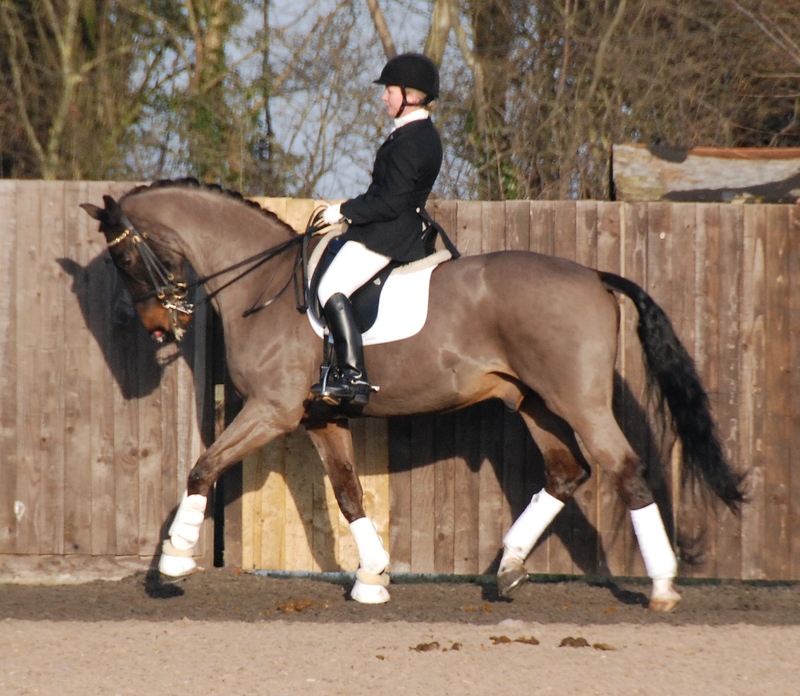 Kwad is a lovely horse, he is very straight forward, hacks out, is very easy to handle, but he is very bouncy to ride, so if you want to be able to do sitting trot you do have to be fairly supple and well balanced!